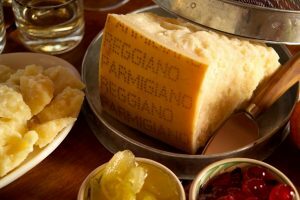 Home > Notizie > New York loves red cows Parmigiano Reggiano! Everyone knows that American people love Parmigiano Reggiano. 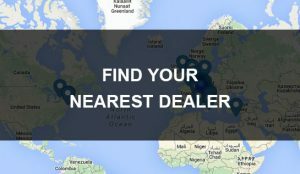 As a matter of fact US market is the biggest exporter outside European Union and this product is one of the most forged in the world! Nevertheless red cows Parmigiano Reggiano real lovers are able to recognize the original one and to appreciate its quality. A few days ago we were in New York and we had the chance to visit the shops that sell our red cows cheese. 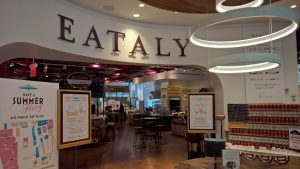 Among them we visited Eataly in the new World Trade Center, there half of the shelf of Parmigiano Reggiano is filled up with our Red Cows cheese, this is great because it means that it’s really appreciated by customers. 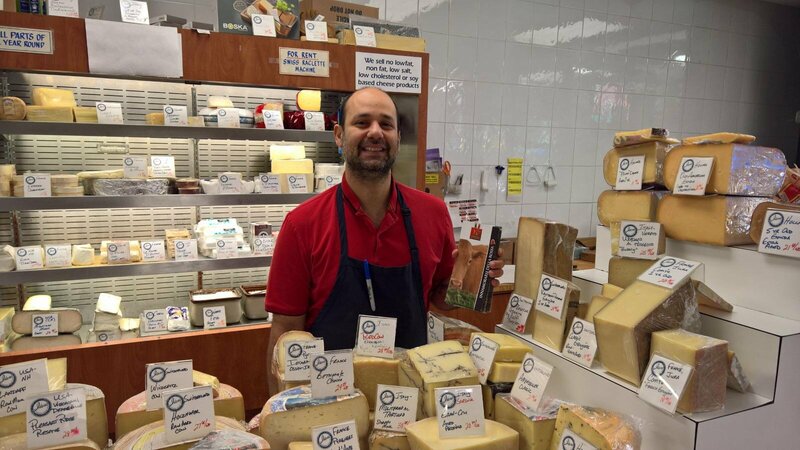 The other shop is Ideal Cheese, owned by Mr Michael Binetti who was really happy about our visit and thinks that our Parmigiano Reggiano is simply amazing! Mr Binetti is proud to sell Red Cows Parmigiano Reggiano and he always tells to his customers the history of our red cows. It’s been a real pleasure to meet Red Cows Parmigiano Reggiano lovers in New York, and it’s really satisfying to hear how our cheese is loved and appreciated. Goodbye New York, see you next year!